After their H-packed honeymoon, Colonel Michel Rosenberg and his love, Hans, should be enjoying their peaceful life in the battlefront if not for the enemy led by Colonel Kingstone. Then a new storm struck, in the guise of Colonel Rosenberg’s younger brother, Kurt, who turned out to be an even bigger tyrant than the colonel. Will Hans be able to tolerate Kurt’s tongue-lashing…? 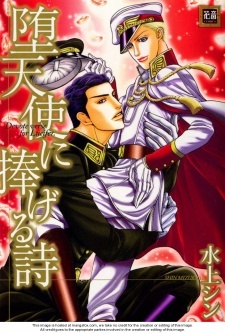 Enjoy the sequel of “Koutetsu no Daitenshi” as the lovey-dovey couples increase in the sexually charged battlefront! !